Dr. Bruce Schnall, a board certified pediatric ophthalmologist, received his medical degree from Temple Medical School. After completing his residency in Ophthalmology at New York Eye and Ear Infirmary, where he served as Chief resident, Dr. Schnall received advanced training in pediatric ophthalmology and strabismus at the Children’s Hospital National Medical Center. Following completion of his fellowship, he joined the Pediatric Ophthalmology department at Wills Eye Hospital where he teaches ophthalmology residents and pediatric ophthalmology fellows. For the past several years he has been the program director for the Wills Eye Hospital annual pediatric ophthalmology course for primary care physicians and is responsible for the strabismus and amblyopia section of the nationally recognized annual Wills Eye Hospital review course. Dr. Schnall is a frequent presenter at the annual meeting of the American Association of Pediatric Ophthalmology and Strabismus and has been an invited speaker for the American Academy of Pediatrics CME conferences. Recently he received an honor award from the American Association of Pediatric Ophthalmology and Strabismus for distinguished service to this association. 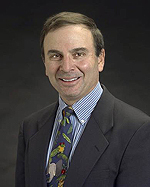 Dr. Schnall has authored over 30 articles in medical journals and book chapters and is a member of the American Academy of Ophthalmology, American Association of Pediatric Ophthalmology and Strabismus, and the American Academy of Pediatrics. In addition to his busy practice, Dr. Schnall volunteers for international medical missions and has been honored for his work with the Sue Tiger Memorial Award from Healing the Children and a Superstar Award from the Virtua Health System. He has been named a “Top Doc “by South Jersey Magazine, SJ Magazine, New Jersey Monthly Magazine, and Philadelphia Magazine.